The www.BusinessofMedicalPractice.com is THE place to chat with other medical professionals about practice management, HIT, accounting, HR, financial, Health 2.0 and related business issues of running a private practice in general … And, especially about all things regarding the third edition of our transformational book. We hope that you will find our book and these boards to be a source of professional comfort, support, information and friendship. If this is your first visit, be sure to subscribe for periodic feeds delivered directly to your secure email box. It’s fast, free and secure. How Can Physicians and Medical Practices use Social Media to Business Advantage? Can Twitter and related social networks be used for developing medical practice management tools, disseminating related information or monitoring payer reimbursement issues? How about more specific professional media like Semo? For example, John Mack, of the PharmaMarketing Blog, said back in June 2008 that Pharma would never embrace social media. 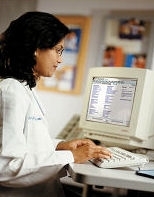 On the other hand, Centecor just launched Medversation for REMICADE(R) (infliximab), a web-based resource designed to facilitate more-informed conversations between US physicians and their patients about the efficacy and safety of certain immune mediated inflammatory diseases and treatment considerations – suggesting the opposite opinion. 1. How has your practice used social media? 2. Does it mater at all?? Did you know that some Web sites list the most influential blogs in a specific industry? For example, AdAge Power150 (www.adage.com/power150), run by Advertising Age magazine, shows the top media and marketing blogs, while eDrugSearch.com’s HealthCare100 http://www.edrugsearch.com/edsblog/healthcare100 ranks the top English-language health-care blogs.